Jon Jones has cleared the first hurdle to keeping his UFC 235 date intact. Test results have come back clean for fight night drug screenings administered to Jones by USADA and the California State Athletic Commission (CSAC) on Dec. 29 in relation to his UFC 232 rematch against Alexander Gustafssson. CSAC executive director Andy Foster confirmed the news to MMA Fighting on Thursday following an initial report by ESPN. Jones test results came back free of any picograms of the M3 metabolite, the same longterm metabolite of oral turinabol that was discovered in Jones system in three different drug tests since Aug. 2018 and ultimately prompted the UFC to uproot UFC 232s entire event from Nevada to California on less than a weeks notice. Jones defeated Gustafssson via third-round TKO at UFC 232 to recapture the UFC light heavyweight title. 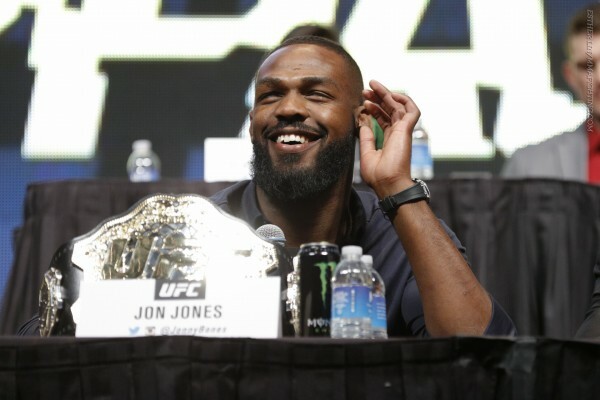 He is tentatively slated to defend that title against Anthony Smith on March 2 at UFC 235, however Jones will first need to be cleared to compete by the Nevada Athletic Commission at a hearing in Las Vegas on Jan. 29. Jones, 31, is a two-time offender of the USADA testing program, having failed drug tests in both 2016 and 2017 in relation to fights against Daniel Cormier. Jones first tested positive for clomiphene, an anti-estrogenic substance, and letrozole, an aromatase inhibitor, in July 2016 just days out from his scheduled UFC 200 fight against Cormier. He then tested positive for the anabolic agent oral turinabol in a July 2017 test administered the day before his UFC 214 rematch against Cormier. Jones defeated Cormier via third-round knockout, however the result was subsequently overturned into a no contest. Jones (23-1, 1 NC) has never truly been beaten inside the UFC cage. His only loss came in a controversial 2009 disqualification against Matt Hamill in a fight he was handily winning.